Every week I meet with clients who are concerned about their own, or a loved one’s, declining health. Sometimes, admission to a skilled care nursing facility is discussed as a next step because the family can no longer provide the level of care required to keep the loved one at home. 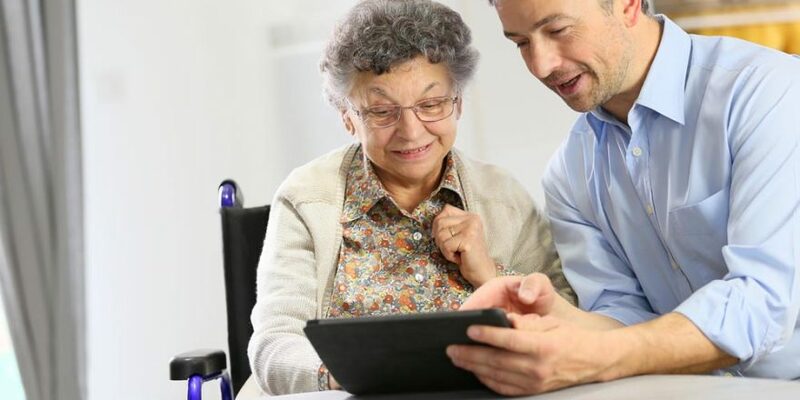 A skilled care facility can certainly provide a level of care that isn’t always possible at home, and there are times when that is the best option for the safety of the loved one and his or her family; however, for those who qualify, there may be another option. Indiana’s Aged and Disabled (A&D) Medicaid Waiver Program is designed to help its elderly and disabled residents who require the types and level of care provided in nursing homes. The care provided under the A&D Waiver is intended to improve the quality of life of recipients by allowing them to remain at home rather than in a skilled care nursing facility. Several assisted living facilities in the area are also approved under the A&D Waiver. · Structured Family Caregiving – caregiver can be related to the care recipient. · Attendant Care – Assistance with activities of daily living, such as mobility, dressing, toileting, etc. · Environmental Modifications and Assessment – Addition of walk in tubs, grab bars, widening of doorways, etc. · Homemaker Services – Laundry, housecleaning, meal preparation, etc. In order to qualify for the A&D Waiver, the applicant must be an Indiana resident, must not be in a skilled care facility, must require at least the level of care provided in nursing homes (must need assistance with at least 3 activities of daily living, such as grooming, bathing, and mobility), and must meet financial and income guidelines. To schedule a free evaluation with a care manager to see if you or your loved one may qualify, medically, for services, contact SWIRCA at 812–464-7800 and ask for an Aged & Disabled Medicaid Waiver evaluation. If you or your loved one have excess assets that may cause eligibility issues, you may contact my office at 812–423-1500 to schedule a free consultation to discuss planning options with a member of my Medicaid Planning team. Previous Previous post: When must you open a probate estate in Indiana?